Bricks 4 Kidz® offers exciting, hands-on programmes where kids ages 3-13+ can learn, build and play with LEGO® Bricks. Our specially designed project kits and theme-based models provide the building blocks for the Bricks 4 Kidz® approach to educational play. Whether you’re looking for an after-school programme or a pre-school class, a holiday programme or a kidz’ night out, a birthday party or an in-school workshop, we’re sure to have a programme your child will love! Bricks 4 Kidz® After-School Classes build on the universal popularity of LEGO® Bricks to deliver a high quality of educational play. Each class is a fun, enriching experience for your child. Kids build a new project each week using the classic and technic LEGO® elements loved by generations of children. Experience the cutting edge of technology with the introduction of LEGO® MINDSTORMS® EV3 and WeDo 2.0 Jr. Robotics. Students will be captivated as they incorporate the newest generation of motors, sensors and software by programming their commands directly into the intelligent brick, testing their capabilities by moving an object with a robotic claw, building a robot that draws, or creating a mousetrap. Our endless list of builds is sure to provide the complete fundamental components of robotics at best! A Bricks 4 Kidz® teacher work closely with the school teachers to bring STEM concepts into classrooms, enhancing the students’ current curriculum. The Bricks 4 Kidz® approach to learning is imaginative, multi-sensory and fun, creating a dynamic learning experience for your students. Bring LEGO® Bricks to life with coding! The ability to code is a key component of technology education today. Our coding programmes will teach students important strategies to enhance their logic and problem-solving skills, as well as help them work toward becoming technological innovators of tomorrow. Our programmes offer skill level progression of coding concepts as students advance through multiple levels from beginner through advanced. Students will build models with LEGO® Education’s WeDo 2.0 or EV3 elements, then control their models with the codes they write. Watch your preschoolers’ eyes light up as they explore an array of brightly-colored DUPLO®Bricks! Engaging models based on the ABC’s are the building blocks of our Bricks 4 Kidz® pre-school curriculum. Bricks 4 Kidz® holiday programmes are a fresh and fun way for kids ages 5-13+ to spend their school break! Guided by our experienced teachers and built around exciting themes like Amusement Parks, Space and Robotics, children will enjoy using LEGO® Bricks to build specially-designed Bricks 4 Kidz® models, play LEGO® games and explore the world of engineering, architecture and animated movie-making. Celebrate your child’s birthday and build memories with a unique Bricks 4 Kidz® party experience. The timeless fun of LEGO® Bricks is sure to be a crowd pleaser for boys and girls from preschool to preteen. 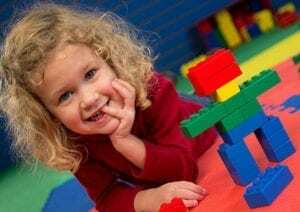 Birthday parties consist of creative LEGO® based games and activities led by a Bricks 4 Kidz® party host, plus LEGO® Bricks galore to keep the birthday builders happy. We even provide the invitations and thank you notes to ensure a fun and hassle-free experience for kids and parents alike.